In the autumn of 1828 a permanent fort was built on this site by the First Regiment of the United States Infantry under the command of Maj. David E. Twiggs, later a general in the Confederate Army. 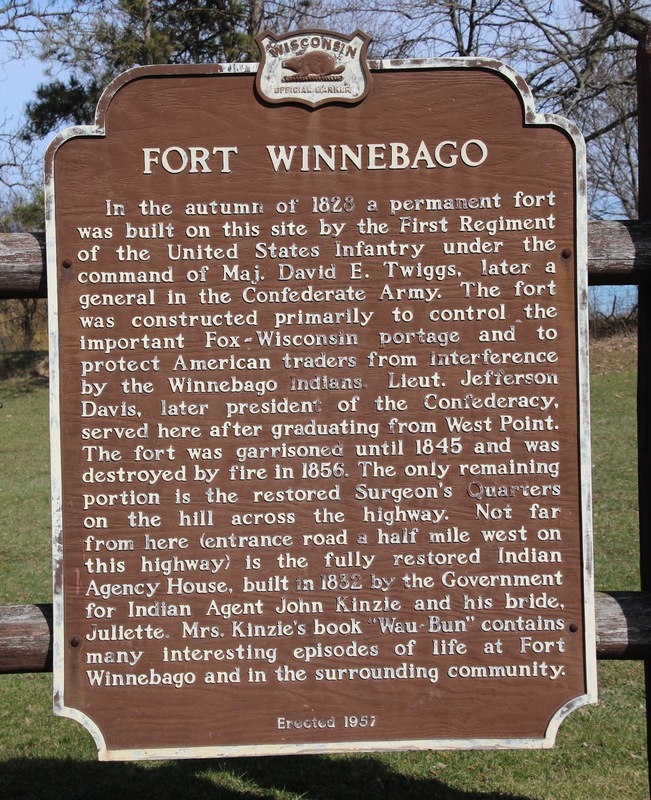 The fort was constructed primarily to control the important Fox-Wisconsin portage and to protect American traders from interference by the Winnebago Indians. Lieut. Jefferson Davis, later president of the Confederacy, served here after graduating from West Point. 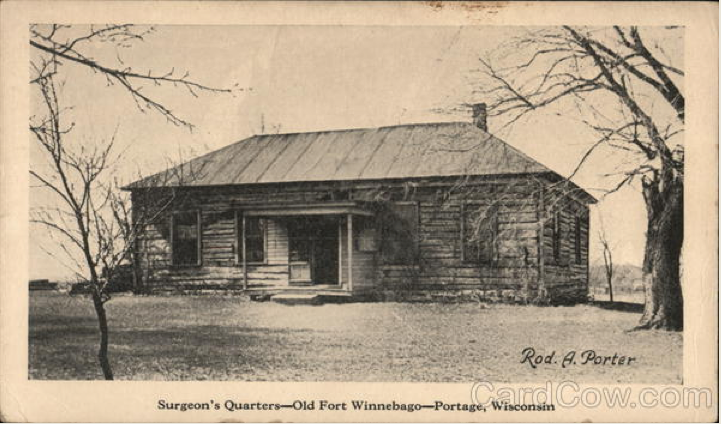 The fort was garrisoned until 1845 and was destroyed by fire in 1856. The only remaining portion is the restored Surgeon’s Quarters on the hill across the highway. Not far from here (entrance road a half mile west on this highway) is the fully restored Indian Agency House, built in 1832 by the Government for Indian Agent John Kinzie and his bride, Juliette. 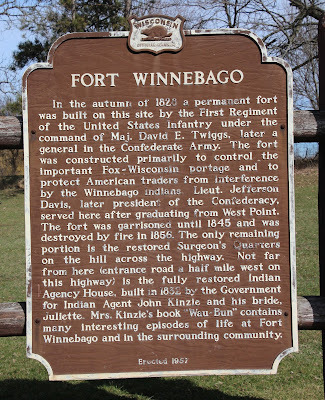 Mrs. Kinzie’s book “Wau-Bun” contains many interesting episodes of life at Fort Winnebago and in the surrounding community. The marker is located at a small park on westbound East Cook Street / Wisconsin Route 33, just west of its intersection with County Road F, Portage, Wisconsin 53901.
to the left of the West 33 sign.